It was among some books she acquired from a relative a while ago. My friend is interested in sewing, but is not an avid sewer, so she thought this would have a more appreciative home with me. This is the real deal from 1952, first printing, with the dust jacket. 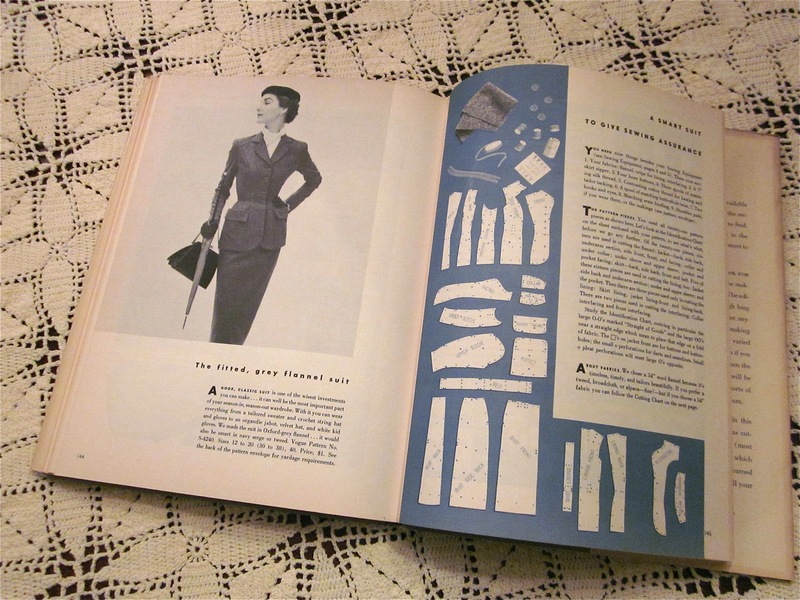 It promises: “Complete, step-by-step instructions showing you how to make smart additions to your wardrobe. 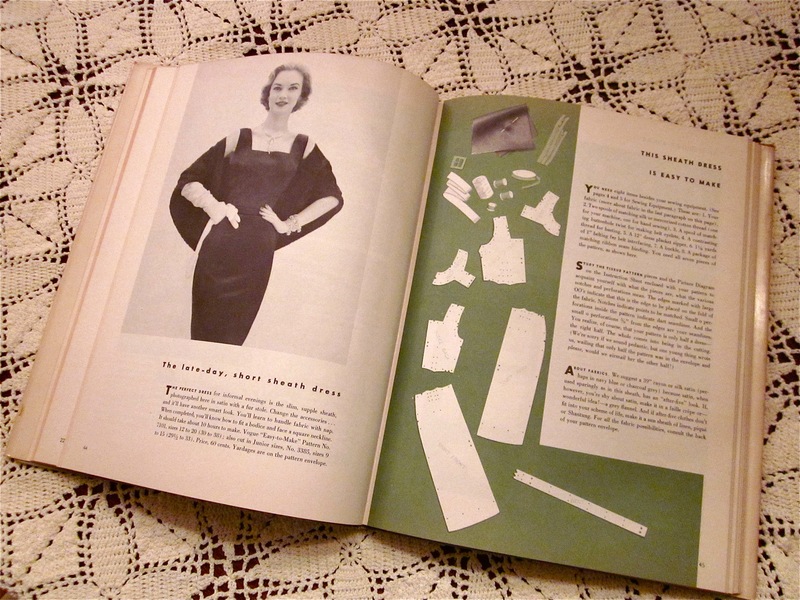 You can become an accomplished dressmaker while making clothes you will want to wear.” It takes you through the construction of 14 garments from patterns widely available from Vogue Patterns at the time the book was published. 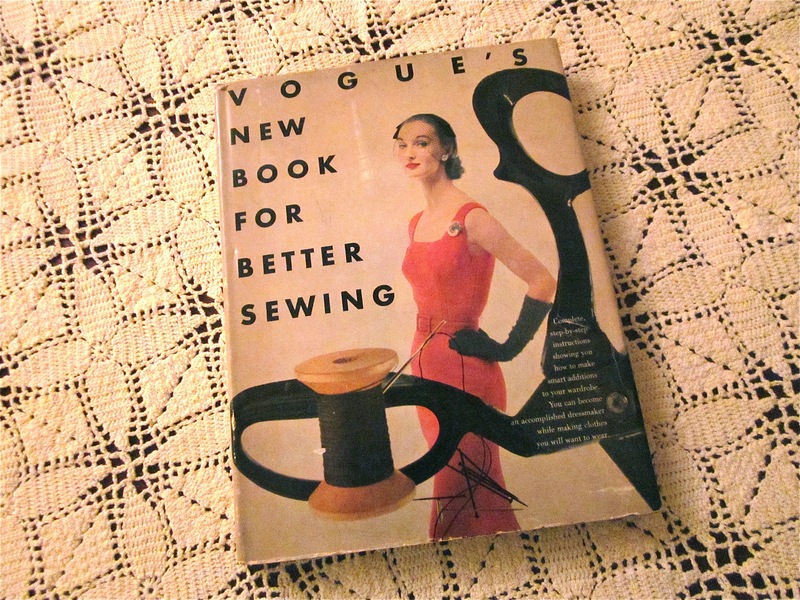 Gertie’s New Blog for Better Sewing is based on this book. 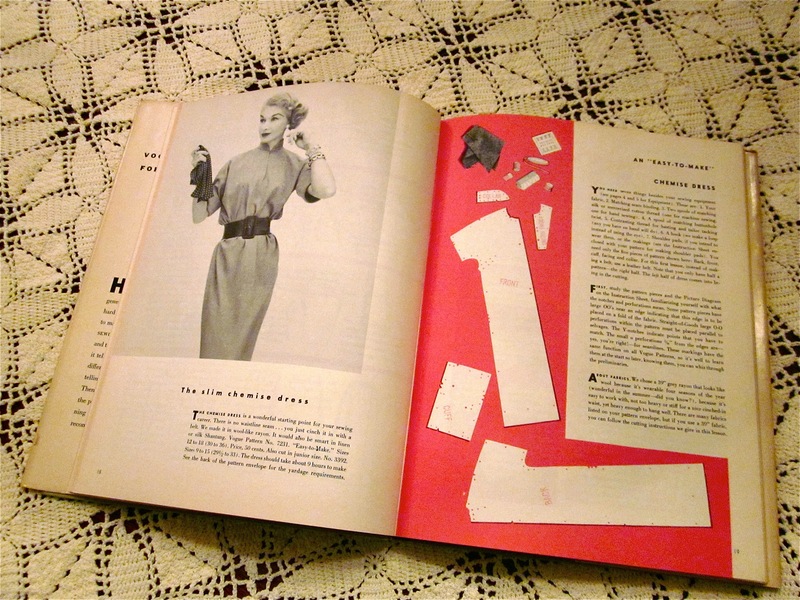 I love vintage sewing books and can read them like novels. Alas, my planned rewatching of Downton Abbey will have to wait. I’ll be devouring this for the next few days. Are you always this lucky?? Do you play the lottery?? I have been looking for along time. I have the 1970’s version which is really good in its own right, but this one is the Motherlode. Kiss your friend! Corinne, I’m not usually quite this lucky. I knew this was a treasure, but I’m starting to understand what a rare treasure it really is. The more I find out, the happier my friend is for me. I’m very, very grateful.